Why, lamb! Why, lady. Fie, you slug-a-bed! Mistress! Hello, mistress! I bet she’s fast asleep. Juliet! Hello my lamb! My lady! Darn it, you sleepyhead! Love! Madam! Sweetheart! Why don’t you answer, bride! Not even one word? Well get your rest now, sleep for a week. I bet you that the next night you won’t get much sleep with Count Paris. God forgive me, she’s sound asleep! I have to wake her up. Madam, madam, madam! Oh, let the count take you in your bed, I’m sure he’ll wake you up. Will you not wake up? Marry, and amen! — How sound is she asleep! I must needs wake her. — Madam, madam, madam! O, weraday, that ever I was born! [Undraws the curtains] What, you got dressed and all your clothes are ready and you fell back to sleep again! I’ve got to wake you up. Lady! Lady! Lady! Oh no! Help, help! My lady’s dead! Oh curse the day that I was born! Someone get me a strong drink! My Lord! My Lady! Oh what a terrible day! Look, look! Oh horrible day! Oh me, oh no! My child, my only child! Please revive, look up, or I’ll die with you! Help, help! Call for help. For shame, will you bring Juliet already? Her groom is here. She’s dead, deceased, she’s dead. Curse the day! Alas for this day, she’s dead, she’s dead, she’s dead! She's dead, deceased, she's dead, alack the day! Ha! Let me see her. Out, alas! She's cold. Her blood is settled, and her joints are stiff. What? Let me see her. Oh, alas! She’s cold, her blood has settled, and her joints are stiff. I can tell from her face she’s been dead for hours. This death is like an unexpected frost on the sweetest flower in all of the field. Oh what a tragic time! This death, that’s taken her away to make me weep in grief, has stopped me from speaking. Come now, is the bride ready to go to church? Ready to go to the church, but she will never return. Oh my son! The night before your wedding day Death has slept in your wife’s bed. There she lies, a beautiful flower deflowered by death. It is only death that I can have for a son-in-law, death will be my heir. It’s as though my daughter is married to death, and now when I die only death will inherit everything I have. All I have belongs to Death. Oh, I’ve anticipated seeing this morning for so long, how can it show me such an awful sight? In lasting labor of his pilgrimage! Time is personified here. Time's job, or time's labor, is to march relentlessly on—to pilgrimage. Upon learning of Juliet's death, lady Capulet believes that this is the worst moment time has ever seen in all its marching. Accursed, sorrowful, wretched, hateful day! This is the most miserable hour time himself has ever seen in his eternal journey! I had only one, poor one! One poor, loving child, only one thing to rejoice in and find solace in, and cruel death has taken her from my sight! Oh woe! Oh terrible, terrible, terrible day! This is the saddest, most terrible day that I’ve ever seen! Oh day! What a day, what a day! What a hateful day! There was never another day as dark as this one! Oh woeful day, oh woeful day! And cruel death hath catched it from my sight! I’ve been deceived, divorced against my wish, hurt, insulted, and nearly killed by this death! Death, you detestable cruel thing, I’ve been tricked by you, almost completely defeated! Oh my love! Oh my life! Not life, my love is dead! I’ve been spited, distressed, nearly martyred and killed by this death! Terrible time, why did you have to come now and ruin this solemn ceremony? Oh child, oh child! You were my soul, more than my child! You’re dead! Alas! My child is dead, and with her all my happiness is buried. Juliet was everything to Capulet; she was his soul. She was also his only—sole—child. She is no longer his child, as she is no longer. Quiet, everyone, for shame! The best course of action in this devastation won’t be found in this kind of uproar. You shared this lovely girl with Heaven, and now Heaven has her entirely, which is all the better for the girl. You could not keep Juliet’s body from death, but Heaven will keep her soul alive forever. You always sought to give her a better life, for your own heaven was the idea of her moving up in life. Are you going to weep now that she has moved up all the way to the clouds in Heaven? Showing the kind of love you are, it seems like you love your child poorly, going mad when she is in the best state possible. 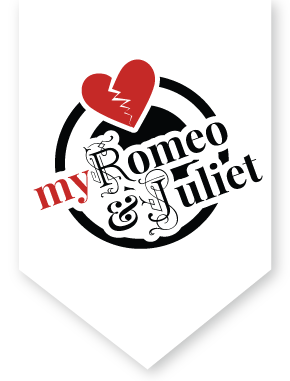 The Capulets' love for Juliet is "ill", or wrongly based, since they are mad with grief, even though Juliet is "well" because she's in heaven. "rosemary on this fair corpse"
The rosemary plant was a symbol of remembrance, often placed with the body in a funeral and distributed to the mourners in attendance. In all her best array bear her to church. It’s best not to be married for too long, so it’s better to be married and die young. Dry your tears, and give some rosemary to this lovely corpse. Dress her in her finest clothes and carry her to the church according to custom. It’s in our nature to mourn, but our reason laughs at us for our excessive lamenting. All the festive things we prepared must now be repurposed for a solemn funeral. The wedding band must now sound like a funeral bell, the food is converted into a burial feast, and the wedding marches must be changed to heavy dirges. Juliet’s wedding bouquet will lie with her buried corpse, and everything seems to be turned into the opposite of what it was for. And all things, change them to the contrary. To follow this fair corpse unto her grave. Sir, you should go inside, and madam, you go with him. And you too, Sir Paris. Let everyone prepare to bury this lovely young lady. The heavens have frowned upon you for some kind of sin. Take care that you don’t bring down more misfortune by disobeying God’s will. Look, I think we can pack up our instruments and go home. Honest fellow, yes, put them away, put them away. For as you well now we’re in a pitiful case. For well you know, this is a pitiful case. She’s right, you know, this case should really be fixed. Musicians! Oh, musicians, “Heart’s Ease”, play “Heart’s Ease”. Oh, for my life, play “Heart’s Ease”. Oh, musicians, play it because my own heart is singing about how it’s full of woe. Oh please play some happy song to comfort me. There’s no time to play now. Not a dump, we. 'Tis no time to play now. "I will then give it you soundly." Peter's words have a double meaning: "I will attack you thoroughly" or "I will insult you musically." You won’t do it, then? Well then I’m going to give to you good. What are you giving us? Not money, but a joke on you. I’ll give you the title of minstrel. Then I’ll give you the title of serving-creature. No money, on my faith, but the gleek. I'll fa you. Do you note me? Here, Peter uses musical puns to tell the musicians that he won't put up with their mischief. A crochet is a musical note. He then uses the names of notes ("re" and "fa") to tell them he'll ruin them if they try anything else. By "Do you note me?" he means, "Do you get me?" The First Musician carries the puns over into his next line. If you do you may find this serving-creature’s dagger on your head. I will make you sing, re, fa la, all that, you hear me? You got that? If you you’re going to carry on saying re, fa, I suppose you have “noted” us, so to speak. Please, lower your dagger, and calm down this wit you have that makes you want to argue. my iron dagger. Answer me like men. Peter is threatening to thrash the musicians with his strong wit. But an iron wit is a dull and senseless one, so really he is threatening to fight them with his own stupidity. Why do they call it a silver sound? Why should music have a silver sound? What do you say, Simon Catling? Well, sir, because silver sounds sweet. Very clever! What do you say, Hugh Rebeck? I think it’s “silver sound” because musicians play for silver coins. Also clever! What do you say, James Soundpost? Prates. What say you, Hugh Rebec? I say 'silver sound' because musicians sound for silver. because musicians have no gold for sounding. Honestly, I don’t know what to say. Oh, I beg your pardon, you’re the singer. I’ll come up with something for you. It’s “music with her silver sound” because musicians couldn’t make a sound rubbing two gold coins together! What an annoying guy he is! Forget about him, Jack! Come on, let’s go inside, wait for the mourners, and stay for dinner.